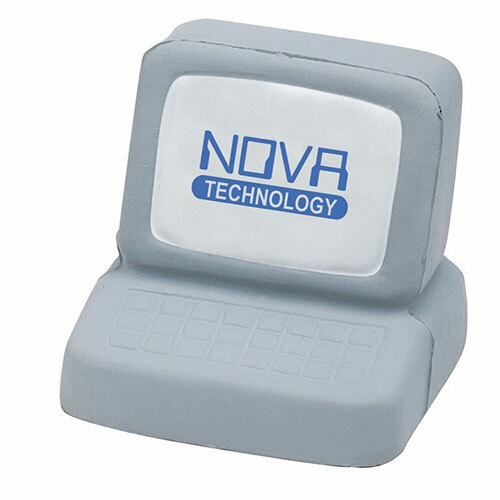 A computer shaped stress reliever is the perfect promotional product giveaway for schools, offices, and conventions. Custom printed with your company logo or slogan it serves as a walking billboard for your company. Bulk / 12 lbs lbs / 150 pcs pcs. / 17.75x14.5x12.5box. Imprint Area: 1.5" x 1.25"